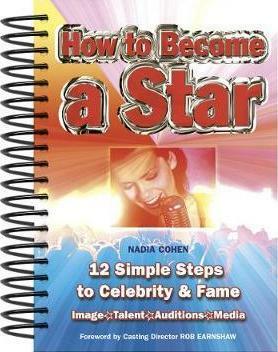 This is the ideal guide for those who wish to follow their dream and exploit their talent, whether it be singing, acting, modelling or dancing. The essential steps you need to take to achieve your goals are presented in a handy, accessible format. First discover how to get the image that's right for you - from clothing through to hair and make-up; then read invaluable attitude advice on how to carry yourself with confidence and impress others. Next, focus on and improve your unique talent and learn what you should be watching, reading and listening. Most importantly, be prepared for that audition. "How to be a Star" provides advice tailored to the different skills, along with great suggestions for songs to sing (including sheet music), lines to learn and dance routines to perfect.